increases productivity by up to 400%. 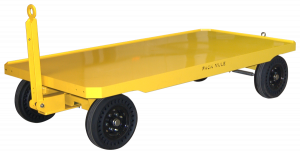 PACK MULE's Towable Order Picking Carts greatly increase productivity in order picking applications, particularly in today’s large facilities where the distance between the order picking area and the shipping area can be substantial. Eliminates the need for forklifts when moving orders or parts to the next station. 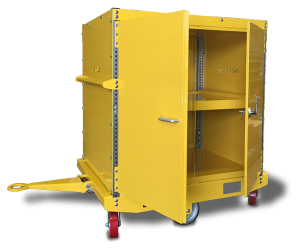 Enclosed cargo space protects the cargo, the operator and anyone working below. Easy connection to any order picker forklift. Swing-down shelves on multi-shelf units for greater loading flexibility. Available with one, two, or three decks. Backed by Pack Mule’s industry- leading three-year warranty. All PACK MULE Electric Utility Vehicles and Towable Carts come with our industry-leading 3-year, no hours limit warranty.